Simone Bergese amid the vines on his 25 acres at Château Élan. 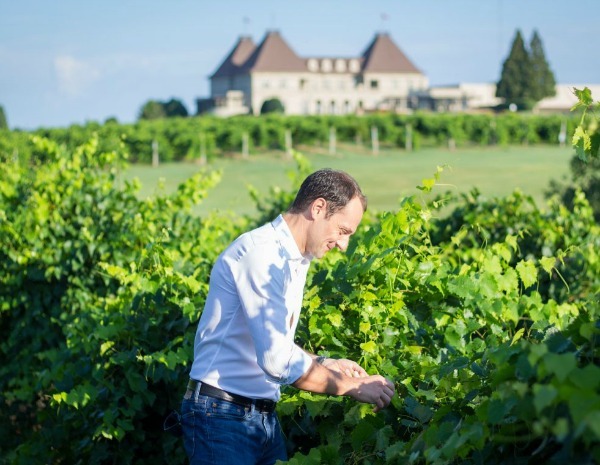 Simone Bergese, executive winemaker and director of winery operations at Château Élan in Braselton, was named Wine Business magazine’s Winemaker of the Month for September. 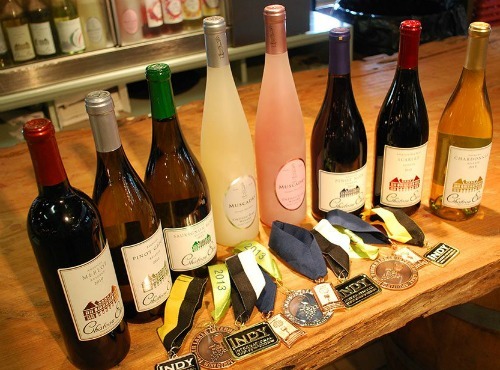 Château Élan wines, and some of their awards. According to the magazine’s report, Bergese was born in Alba, Italy, and has an oenology and viticulture degree from Turin University in northern Italy. After graduating, he worked as cellarhand and assistant winemaker in the Barolo and Barbaresco regions of Italy, as well as at wineries in Australia. In 2003, he became chief winemaker at Patria Winery in Sicily; in 2006, he joined Italy’s famous Firriato Winery as chief winemaker. Bergese moved to the United States in 2008 to join Potomac Point Winery in Stafford, Va. He joined Château Élan in 2012 and, since his first harvest in 2013, has won more than 220 awards. He also led a $1.5 million winery renovation at the resort. He has 25 acres planted at Château Élan and produces 35,000 cases of wine per year, primarily muscadine varieties, cabernet sauvignon, chardonnay and various blends.